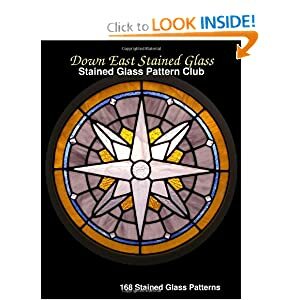 "Your Free Stained Glass Pattern Directory"
Looking for free stained glass patterns online has been our passion since 1997 and still is today. Countless hours of late night searching for stained glass pattern web sites can be a real chore but we are dedicated to offering the most informative stained glass pattern listing available online. on a website or elsewhere online please contact us. Please respect each websites stained glass pattern policies. A4 etc. 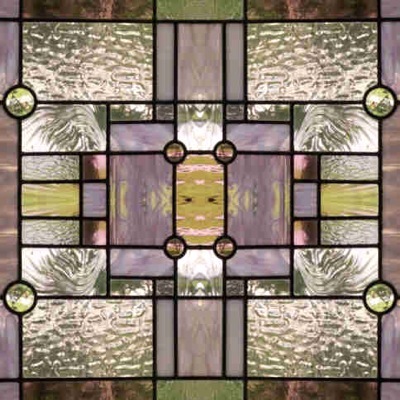 Free Online Pattern Resizer- StainedGlassPatterns.org has a stained glass pattern resizing program on site. Many free patterns for stained glass already available along with a member showcase area. A Pane in the Glass- Free stained glass and mosaic patterns from Tracy's studio. Aanraku Stained Glass- Detailed free stained glass patterns in pdf. format. Abacus Glass- Chinese free stained glass patterns. Stained glass patterns for the ancient Small Seal calligraphy style. Acadian Glass Art- Stained glass patterns open in Adobe Acrobat format viewable by most browsers. Stained glass pattern resources as well. Action Bevel- Download pdf files of current bevel clusters created by manufacturer. Use for creating beveled stained glass windows. Bevel clusters available from various suppliers. Always Stained Glass- Stained Glass studio from Auburn Hills, Michigan sells stained glass supplies, custom work, stained glass gifts and offers a stained glass pattern for free on website. Annabelle's Glass- Stained glass instructor at the Hobby Lobby stores located in Fayetteville and Morrow, Georgia has some original free stained glass patterns. Alpine Stained Glass- A San Diego based company with some nice original stained glass designs! ART:ERY- Stained glass pattern co-op. Art Glass Art- Stained glass graphics, tutorials, supplies and free stained glass patterns. ArtGlassInfo.com- Glass e-zine (digital periodical) with free stained glass patterns in jpeg format. Art Glass Suppliers Association International (AGSA)- Copyright Free Art Glass Patterns. Art Glass World - A few free stained glass patterns submitted by various artists and glass design studios. Artistic Glass Patterns- Stained glass patterns for creative glass artists, designed by Linda G. Many free patterns available in PDF and Zip download formats. Bastelzauber- Stained glass site in Germany with a free stain glass pattern download site. Go to "news" and follow link to patterns. Baxpeters Stained Glass- Nice stained glass patterns for beginners! Bennetts Art Glass- Freelance jewelry designer and diagnostic ultrasound technologist turned stained glass artist, Pam Bennett of Amelia Island Florida shares some nice stained glass patterns. Beveldine Came Craft- Custom bevels, stained glass panels, supplies and free stained glass pattern every month. Brezda Kennels- FREE STAINED GLASS PATTERNS... For Dog Lovers! Cardinal Glass Studio- Brantford and area since 1981. Owner Gordon Hill with his free art glass patterns to share. Carmens Stained Glass- Carmans favorite free stained glass patterns! Ceardai Daibhi- In the Irish or the Gaeilge Ceardai is defined as "craftsman". Interesting pages from this group include a large collection of free art nouveau and traditioal stained glass patterns. Chantal's Stained Glass- Many free stained glass patterns traced from images found online with some original patterns available with fees. Chantal's Stained Glass Patterns II- More of Chantal's free stained glass patterns. Chameleon Art Glass- Art Gallery with lamps, etchings, stained glass, blown glass, paintings and mosaics. Located in Little Rock, Arkansas. Free stained glass pattern every month. Citrus glass- Stained glass patterns for painting. Can be used for real stained glass with slight modifications. Citrus Heights Stained Glass- Custom glass studio from Roseville, Ca offering over 120 free stained glass patterns in pdf format! CKE Publications- Books and patterns from glass designers around the world. Now with free stained glass patterns. Cliffside Studio- Free prairie patterns and others include: calla photo frame, iris lampshade, prairie window, prairie free form & prairie lampshade. Cole Publishing- Free stained glass stepping stone patterns. Common Ground Glass - by Christie Wood. Free angel stained glass pattern. Connected Lines- Pattern software pros with an extensive collection of free pattern ideas for stained glass. Craft Cave- Stained Glass Webzine and original free glass patterns by "Chick"
Craft Town- Free Patterns for many types of crafts with some for stained glass. Creative Art Factory- Glass designs in "Freebies" area of website offers free stained glass patterns. Cutters Production- Glass with Vicky Pane. Free stained glass pattern downloads. Dale Grundon- Stained glass patterns are in Adobe Acrobat Reader. Dark Hollow Glass- Appalachian stained glass studio operated by glass artist Jo Dugan Perez. Stained glass quilt square patterns are available free on site or email request an enlarged version. Darryl's Stained Glass Patterns- Nice array of glass patterns offered by the author of "Hook, Line and Glass". Dean's Stained Glass- "Stained Glass Transom Design Page" contains great ideas for stained glass transoms. At bottom of page is link to black and white images. Dekor Studio- Design software and plotters for creating stained glass patterns and sand blasting templates. Samples of some stained glass patterns from CD. Company based in Italy. Design Glass- Western Australia based glass studio website with everything from a message board to glass supplies, and yes... free stained glass patterns! Design Rendering for Stained Glass- Custom stained glass pattern service with free pattern area! Discounted Stained Glass- Stained glass supply on-line shopping cart with ...free patterns for stained glass. Dodge Studio- Free stained glass pattern monthly from the folks over at "Dodge Studio Designs". Dragonfly Software- Free stained glass patterns and resizer are available by downloading stained glass software trial, Glass Eye 2000. Dragons Lair- Some nice lamp and night light patterns. Duff designs- Wind chimes, kaleidoscopes, candle holders, coasters, tutorials and free stained glass patterns in "GlassEye" format. Fantasy In Glass Glassworks- Fact and fiction about glass with a humorous twist and free stained glass patterns! Free Patterns for Stained Glass- Free stained glass flower patterns in PDF format. Other stained glass patterns on site include: birds, mirrors, animals, windows and suncatcher patterns. Free Stained Glass Designs- A stained glass pattern sharing web site. Visitor submitted stained glass patterns free for download and use. Free Stained Glass Patterns dot com- Stained glass patterns for windows and panels. Free-StainedGlass-Patterns.com- Nicely organized listing of individual free stained glass patterns from various online sources. Gale's Glass- Stained glass supplier located in the beautiful Catskill mountains of New York. Glass Art Patterns- Pre-cut, water-jet art glass designs for stained glass, fused glass, glass mosaics and stepping stones. Free stained glass patterns and projects. Glass Campus- Nautical and native original stained glass patterns include a compass rose, cutter, galleon, gillnetter, heron , lighthouse, orca, pelican, schooner, tea clipper, fishing troller and Virginia clipper. Glass Books Online- Glassbooks.com... Australian site with nice books with free samples! Glass by Bev- Patterns for possible future stained glass projects. Ask artist if it is OK to use the patterns. Click on "Patterns" in header. Glass Crafters- Florida based studio with free stained glass patterns separated into monthly categories. Glass Painting UK- Free glass painting designs to download. Clip art gallery links from site and image rendering software. Member pattern gallery added. Glass Patterns Quarterly- You know their magazine now get free online stained glass patterns from their free patterns & how to page. Glass Sorcery- Free stained glass patterns By Gwen. Search for free stained glass patterns from home page. Looks like a good place to find stained glass patterns. Glasstactics- Sign up for free patterns from original stained glass catalogs published by the National Ornamental Glass Manufacturers' Association. Global Stained Glass Supply- Stained glass supply source from Peachtree City, GA. Gospel Glass- Inspirational religious patterns by Marian Miller. The patterns on the site are free to clergy, pastors, reverends and the others who deliver faith, hope and love. Great Woods Glass Art- Owner, Nancy K. Pimental shares her original stained glass ideas! GSP Bead & Glass Co. - Beads to Bevels, Glass to Grinders and best of all... FREE PATTERNS for stained glass! Honi Stern Publishing Press- Free pattern offered from latest book. Sale of this book will go to the 2004 Hurricane victims and the Youth Scholarship Fund. House of Glass- Patriotic stained glass patterns! Huronia Art Glass- Glass studio located in Barrie Ontario offering free stained glass pattern downloads with assembly instructions in Adobe PDF format. Follow "workshops" to "resources". Infobahn Stained Glass Studio- Stained Glass Patterns, Panels and Links. Stained Glass Patterns for Free Download. I.S.G.S.- (Internet Stained Glass Supply) FREE stained glass patterns from "Pattern Series". Stained glass patterns change every month! Jana's Stained Glass- Free stained glass patterns for beginners. Janie's Rainbow- Studio from Daytona Beach, Fla. with free stained glass originals. Jeff Hamilton Glass Artist- The Stainedglass.com from down under with unique stained glass patterns. Kaleidoscope Stained Glass- Online stained glass classes, stained glass design services and newsletter which contains tips and free stained glass patterns. located in Mebane North Carolina. KD Craft Exchange- Stained glass decorations that make nice projects. Khue.com- Free stained glass patterns and books available. Kim Fowler Stained Glass- Publisher of "Leadlights for Lampshades and Mirrors" and "Art Nouveau Lampshades and Mirrors". Kim's Free stained glass patterns in PDF format. Kinuko Laskey Stained Glass- Stained glass tutorial with a free stained glass pattern section. Larkins World of Stained Glass- Monthly original stained glass patterns, glass instruction and more! Leadlight Products Ltd.- Downloadable information includes stained glass course, newsletter, catalog and free stained glass patterns in PDF format. Life's Story Stained Glass- Located in Saint Nazianz, Wisconsin. Patterns offered free from some past projects. Click on "Patterns" in header. Long Island Art Glass- Glass club located on Long Island New York with a wealth of local art glass information, message board and free stained glass patterns. LOVETHATGLASS.COM- "The Glass House" from Indiana offering a nice set of free stained glass patterns as well as other interesting items. Mark Blanchard- Infobahn Stained Glass Studio offering a nice selection of free lighthouse stained glass patterns. A space shuttle stained glass pattern and pencil holder as well. Meyer Art Glass- Nice original stained glass patterns! Minneko's Stained Glass Angels- Angles, angels and more angels. A new one every month! Mosaics Made Easy- Instructional website includes free mosaic pattern. Mosaic Patterns Online- "FREE STAINED GLASS PATTERN OF THE MONTH". My Glass Patterns- Free stained glass pattern on site with may very reasonably priced patterns as well. Nancy Weavers Stained Glass- Santa saguaro sun catcher pattern and nice picture tutorial. Oak Tree Stained Glass- Free stained glass patterns to download or pay a modest fee to have them enlarged. Orca Glass- Very nice selection of free stained glass panel patterns. Mostly geometric patterns using bevels and Frank Lloyd Wright inspired designs. Orchid Glass Art- Pensacola stained glass studio shares some original stained glass patterns as well as free stained glass patterns online. Ozark Stained Glass- Free stained glass patterns by Sandra Phipps in PDF format. Paned Expressions Studios- Free stained glass pattern monthly. Packrat Productions Original Stained Glass- Handcrafted stained glass by Lady Anne. Click on "Stained Glass Ideas and Patterns! " Papillon Publications- Free stained glass patterns from Donna Schulze! Pattern Printer- Resize your patterns and grab a few free stained glass patterns with download. Patterns...Your Way- Fill out survey to receive free stained glass patterns. PDQpatterns.com- Computer generated stock and custom patterns by Marian Miller for all types of crafts. Hit refresh button to see page and patterns change. Peel & Stick Glass Patterns from Luminarie Designs- Patterns with a revolutionary concept for making life easier in the glass workshop. Free stained glass pattern monthly! Pete's Place Studio - Chat with other stained glass beginners or experienced artisans and check out the nice selection of glass patterns. Pin Oak Art- Stained glass patterns present challenges for the hobbyist or busy professional. Plaid "Mosaics"- Instruction and supplies for creating mosaic projects. Project patterns are located under image on left. Pro Stained Glass Patterns- Free professional stained glass patterns from Prostainedglass.com. Includes stained glass patterns for windows with borders, lamp shades, 3-D projects and more. Putney Stained Glass- Based in Putney, south west of London. 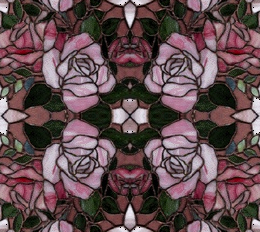 Free Victorian geometric, floral, Edwardian, Art Nouveau and modern stained glass patterns. Rainbow Craft Stained Glass Art- From the "Northern Wilflowers Stained Glass Pattern Collection" by Gina Mohammed of Ontario, Canada. Free white trillium stained glass pattern. RainBowS Stained Glass- Located in Madison Indiana, offering free stained glass patterns, local stained glass classes, and custom stained glass window designs. Renaissance Glassworks, Inc.- Stained glass studio in southern New Hampshire. R.O.N- "Ready or Not" Stained Glass, Worcester, Massachusetts. 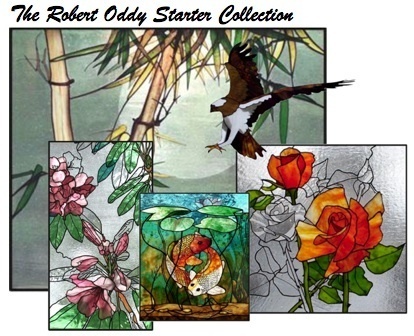 Ron's gallery of stained glass panels, lamps, lanterns picture frames, candles, 3-D objects and jewelry boxes includes some free stained glass patterns. Screaming Eagle Stained Glass- Located at Rappahannock Academy, Virginia in historic Caroline County and Fredericksburg. Seams Like Glass Designs- Samples of quilting & free stained glass patterns. Scotia Stained Glass- Custom designed cabinet windows for your kitchen, bath and other areas of the home. SGB Design Studio- Free samples from lifetime stained glass pattern club. Shady Oaks Stained Glass- Shelly from Minnesota with her selection of free stained glass patterns. Shattered Panes Stained Glass- Company name inspired from a dropped sheet of expensive Uroborus glass. Nice collection of free patterns for stained glass. SomersTiffany- Free stained glass pattern magazine with internet stained glass supply order. Spectrum Glass - From the famous glass maker comes some nice patterns for stained glass. Easy sign up for free patterns. 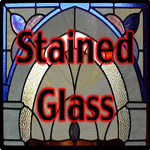 StainedGlassers.com- Lots of stained glass information, articles, resources and a free stained glass pattern vault. Download stained glass patterns in PDF format. Stained Glass Biz - They have a few larger free patterns for stained glass. Stained Glass by Betty- Family owned and operated stained glass retailer from Northern Cambria, PA.
Stained Glass Craft- Free stained glass patterns for the taking! Stained Glass Craft and Patterns- Stained glass patterns are free for the taking! Located in Summerville SC. Stained Glass Directory- Free stained glass patterns from a stained glass blogger named Maria created with "Glass Eye" pattern software. Stained Glass Direct- Jana Clover, founder and publisher with some beginner patterns for stained glass. Easy suncatcher stain glass patterns. Stained Glass Express- Waterville, Maine based stained glass supply source with a pattern of the month. Stained glass pattern library has some nice easy to do stained glass projects. StainedGlass.nl- Gratis Patronen Translated: Free Patterns from Dutch based stained glass website. Stained Glass Patterns Blog- A blog about stained glass patterns with free stained glass patterns and design techniques. Stained Glass Shop- Tutorial and workshop online with free stained glass patterns and finished creations. Stained Glass Stuff- Patterns for the small bevel candleholders and suncatchers available on website. Go to "Build Stuff". for free suncatcher stained glass patterns. Stained Glass Stylists- Original stained glass patterns offered by Butch & Jane Gathright of Waretown N.J.
Stained Glass Supplies of Japan- Japanese site with free stained glass pattern downloads. Stained Glass Valley- Kaleidocopters and Aeroscopes available for Custom Ordering & Free stained glass patterns. Stained Glass Workshop- Glass studio located in Farmingdale, Long Island with a free pattern monthly. A full line of fusable supplies available on their website. Stainedglasspatterns.com- Stained glass pattern software and free stained glass patterns from site and others. 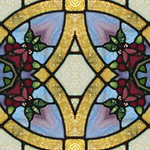 STAINED GLASS PATTERNS GROUP- New Yahoo Group with discussion on all topics of stained glass with stained glass patterns. Sundial Primer- Stained glass sundial tutorial, created by Carl Sabanski. Sunny Brook Studio- General stained glass patterns, hex signs and patterns for suncatchers. Symphony of Glass- Easy stained glass patterns for suncatchers and stepping stones. That Stained Glass Place- Stained glass from the "Outer Banks" of North Carolina in Kill Devil Hills. Stained glass ships, custom glass, mosaics and supplies on the beach! Does it get better than this? The Glass Garden- Stained glass patterns from various authors with permission to download. Promise of more on the way! The Glass Knight- Nice and easy stained glass patterns for personal use. The Leadlight Workshop- Australian based website offering free stained glass patterns by Jillian Sawyer. The Oak Tree Studio & Supply- Printable stained glass patterns you can then enlarge on a copier to any size. Also works with various glass pattern resizing software. The Store Finder- Search for stained glass suppliers and studios and of course... free stained glass patterns! The Vinery- Stained glass studio from Madison Wi. with a free stained glass pattern each month! The White House - Stained glass and basketry patterns. Tiffglaze- Stained glass, leadlight & art, pre-cut kits & free patterns for stained glass. Tracy's Studio- Free stained glass & mosaic patterns. "A Pane in the Glass" studio of central Florida. Twindy's Blog- You can find a cute kitty stained glass pattern. Two Fish Art Glass- Located in Forest Park, IL this creative studio offers some free glass patterns. UK Stained Glass News- Featured are free stained glass patterns by various stained glass artists. Valerie Hixson's Web World- Stained glass, beads, quilting and even garage sales. Vit-Mar Stained Glass Studio- Canada's showcase stained glass studio with a wide selection of custom work and free stained glass patterns. Warner-Crivellaro Stained Glass, Inc.- Nice selection of free stained glass patterns from W/C. Many free suncatcher stained glass patterns. WT Design aka "The glass Night"- Original stained glass windows and custom made glass decorations with free glass patterns in PDF format. Yanchuk Alexander's Studio- Free stained glass patterns from StainedGlassWow.com. Yume Glass From Japan- Site from Japan offering nice patterns for stained glass. Bamboo, Hybrid Tea Rose, Koi, Osprey and Rhododendron. Allen Kenoyer Glass- Glass pattern categories: Beginning & simple, intermediate, advanced, mirrors & frames, glass etching. American bevel- Buy beveled glass window patterns from manufacturer using over 100 available bevel clusters for your leaded beveled glass project. Aristoloche- French stained glass artist with some very unique and interesting patterns for sale. Be sure to check out the zodiac medallions area of site. ART:ERY - Stained glass pattern co-op. Barry Z. Masser- Plated Glass Designs, based in Bellingham, Washington. Pattern kits and plating how-to books. Castle Stained Glass- Stained glass patterns for side lights, floral panels, animals, south west (prairie), Christian and people patterns. Cecere Designs- Official website for stained glass pattern designer, Rachel Cecere. Patterns from books published by SGN Publishing, a division of Stained Glass News. Chantal's Stained Glass Patterns- Collection of computer generated designs for stained glass. Tutorial explains how it is done by tracing images. Cliffside Studio- Prairie style stained glass patterns for lamp shades. Also... CD4000 "Prairie Frame Base Designs" to make your own stained glass lamp bases. Darryl's Stained Glass Patterns- Author of the stained glass pattern book "Hook, Line and Glass". Stained glass enthusiast from Australia that enjoys fishing and sports offering a nice selection of whimsical stained glass patterns. Dennis Brady- Nautical stained glass patterns as well as 3-D patterns to make stained glass boats. Assembly & rigging diagrams included with instructions. Fireside Stained Glass Designs- Stained glass fireplace screen patterns from Pasadena, Texas. First Impessions- Provides category CDs or burn a custom CD in .jpg or .eye formats. Located in Denver Colorado. Harmony Glass Patterns- Original stained glass patterns as well as published stained glass patterns for sale. Look for patterns on left. H. L. Worden Lamp Crafting System- Full form lamp designs as well as sectional panels and all the trimmings to go with your stained glass lamp. Hall Glass Studios- Original stained glass art. Member of Absolute Arts, Parker Artist Guild and Highland Shores Artist Guild. Hello Darlly Garden Art- Nice stepping stone patterns from Gabriola Island and Nanaimo, B.C., Vancouver Island, Canada. l'atelier de Vitrail- Stained glass patterns for sale from a French stained glass website. 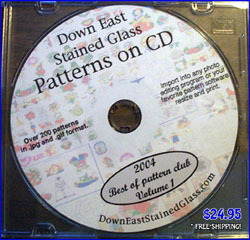 Legacy Stained Glass Pattern Company- Stained glass patterns on CD. Historically accurate representations of 19th and 20th century European stained glass windows. Morning Star Creations in Glass- Delta, B.C. Canada studio specialized work includes fused glass and jewelry designs using stained glass. Ozark Stained Glass- Custom stained glass designs, stained glass patterns & glass patterns for sale. by Sandy Phipps. Odyssey Lamp Systems- Tiffany replica stained glass lamp patterns and complete forms. Over 100 "faithful copies of Tiffany " molds available. Peel & Stick Glass Patterns- Luminarie Designs custom size stained glass patterns from your ideas or many popular stained glass pattern publishers. RainbowS Stained Glass- RainBowS hand picked favorites as well as a selection of various stained glass patterns. Royal Prime- Stained glass patterns for window inserts. Seymour Stained Glass- Mosaic table top patterns for sale. Located in Seattle Washington. Stained glass mosaic classes available. Stained Glass Sculpture Company- Owner and artist Jay Gubitz creates three-dimensional stained glass and sells his stained glass sculpture kits. Stained Glass Source- Preview stained glass patterns before you buy from this online stained glass supply vendor. Stick & Cut Stained Glass Patterns- Adhesive backed templates for stained glass by Genisis Glass Art. Suzanne Cooper- Stained glass e-patterns and e-books for sale. The Leadlight Workshop- Exclusive patterns are designed by Dawn Hicks and come with a full sized printed drawing, instructions, a color diagram of the finished design and a list of glass required. TK Stained Glass- "Let's Make Stained Glass" Sections include many beautiful Japanese lanterns, fan lights, wall hangings, mirrors, clocks, kaleidoscopes and other stained glass patterns. Turner Glass Art- Owned and operated by Mel and Shelley Turner. Authors of "Turner Glass Art-Lanterns Book 1 "Stained glass patterns online for sale. Zweber Glass- Award winning abstract stained glass designs on CD. Color and black and white abstract organic high quality images. Do you sell stained glass patterns online and not on this list? Besides being the web's premier source for free stained glass patterns we will now dedicate our tireless hours of searching for all stained glass patterns available online. This service is free to the above stained glass pattern vendors and proudly displayed here to enhance our visitors experience. "Free Stained Glass Patterns on the Web"
Free Stained Glass Patterns on the Web- Finding free stained glass patterns since 1997. Great deals on all art glass media items! A building resource from over 100 years of stained glass experience. Myths exposed and many "tricks of the trade" secrets revealed! Preview stained glass patterns from our club. Printing and use is for members only. Thank you. Stained glass pattern deals on ebay! Did you know you can sell your used stained glass books on amazon.com? Click on keyword above for subject area. from our stained glass pattern club. Format & print using your favorite photo editing or stained glass pattern software. Updated to include all our latest stained glass patterns! Membership or cd purchase entitles you to complete use of our stained glass patterns for class distribution, retail sales of finished stained glass and however you wish to use them provided the actual patterns are not resold as patterns. "FREE Stained Glass Pattern Download"
Includes over 400 free stained glass patterns! Easily create your own stained glass windows, panels, doors and designs or use pre-drawn shapes with American Bevel Clusters, standard straight line bevels, and other stock bevels.